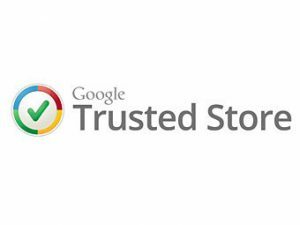 We are very excited to announce that Curtain-Tracks was recently selected to join the Google Trusted Stores program. To help shoppers identify online merchants that offer a great shopping experience, the Google Trusted Store badge is awarded to e-commerce sites that demonstrate a track record of on-time shipping and excellent customer service. When visiting the Curtain-Tracks website, shoppers will see a Google Trusted Store badge and can click on it for more information. We have always held ourselves to high standards of customer service, so to know that Google took notice is humbling and we are pleased to accept this designation. We are also very excited for our customers to be able to shop on our website with even more confidence than before. As an added benefit, when a shopper makes a purchase at a Google Trusted Store, they have the option to select free purchase protection from Google. Then in the unlikely event of an issue with their purchase, they can request Google’s help, and Google will work with Curtain-Tracks and the customer to address the issue. As part of this, Google offers up to $1,000 lifetime purchase protection for eligible purchases. Google Trusted Stores is entirely free, both for shoppers and for online stores. The program helps online stores like Curtain-Tracks attract new customers, increase sales and differentiate themselves by showing off their excellent service via the badge on their websites. So, what are you waiting for? It’s time to check out our new Google Badge! Our wonderful customer service team will still be available to help you at 1-888-434-7444, but now you can shop on our website with even more confidence than before. We look forward to sharing our product and service with you soon!